There is a postcard on e bay selling at £39 56 at present . We can't place it at being High St. K/Lynn ? Can anyone confirm , I have checked 1900 & 1925 Kelly's with no success. I cannot find anything (so far) Would be helpfull if we could see the other shop names. Will keep trying. It made £47. But we are not convinced that it is Lynn High St. The High School in King St is making good money as well. Did you find out who your Mum went to visit in Kent? Been waiting for my sister Betsy (named after granny Rye) to come home to see if she knows, as no one else in the family does. She is home from the states next week and will ask her then. 100 Norfolk street in 1929. Maybe the one. 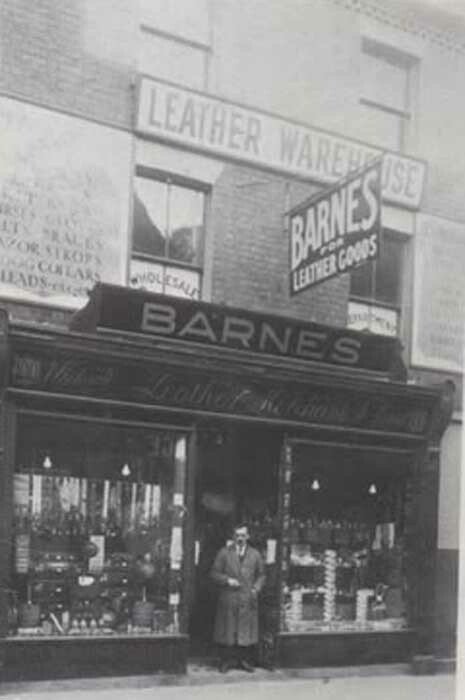 The shop is not 100 Norfolk street as it was Barnes leather goods. What I thought it was.The window configuration is completly different. 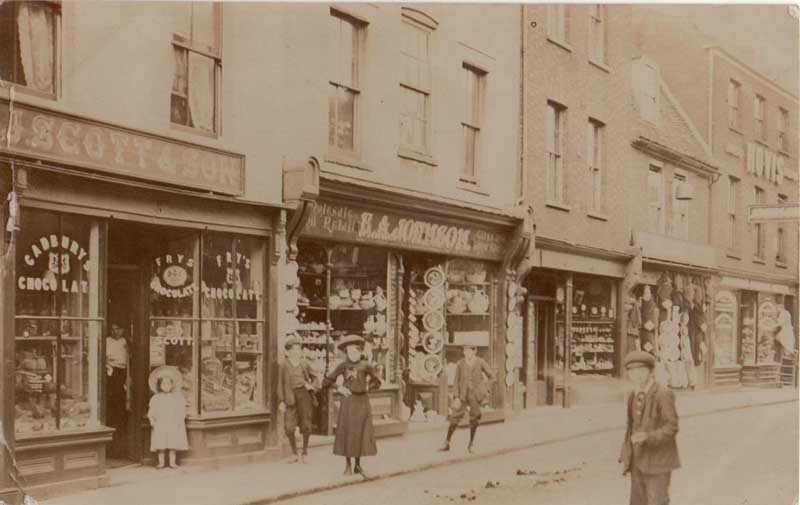 I found E.A Johnson at 22 Norfolk St. in 1925. I read it as B A Johnson, and not E.A. it has Kirklands at 22/24. Could be just a typo. Hi Desira, in 1896 and 1900, Alfred E Johnson is listed as a China and glass dealer at 122 Norfolk St. From 1904-1932, Ernest Albert Johnson is listed at 122 Norfolk St and 96 High Street. Hope this helps, regards T. Ps have you noticed what looks like a large bell hanging above the shop to the right? I think miss Green has cracked it desira. If you look at this screen shot of Norfolk street today you can see the same buildings as in the original. 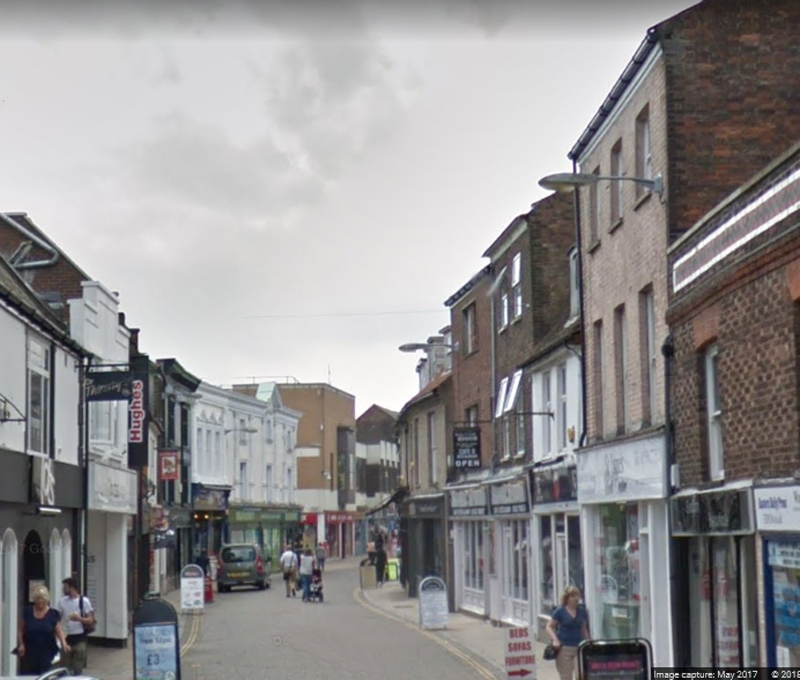 So Johnsons we know and next door 123 was Melias, and 124 Stratfords and125 the three storied building was Baxters greengrocer. I think she has - thank you all for looking.